There are good things and there are bad things about moving into a house with white walls (not even a backsplash in the kitchen!) and concrete floors. 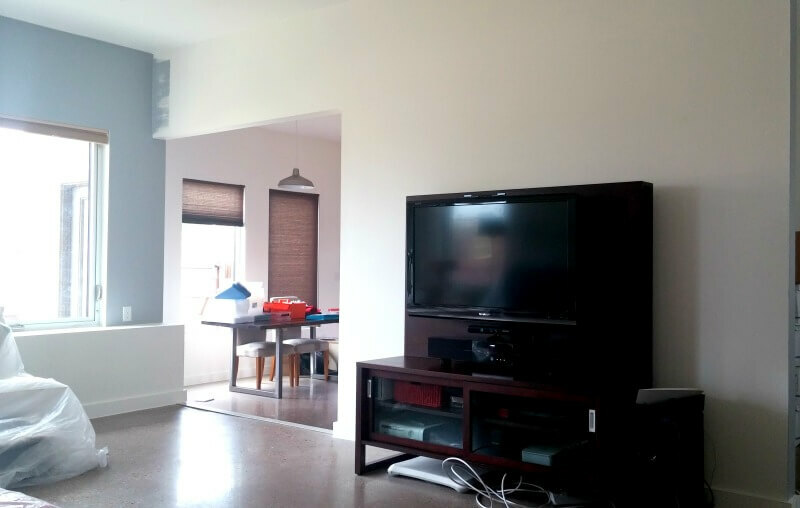 The good: It’s a totally blank canvas. There’s nothing to “undo” — no tile straight out of 1992, no semi-gloss lime green accent walls, no mysterious stains. The bad: I never expected this would happen, but once I moved in I felt a little overwhelmed by just how many possibilities there were. I also felt pressured to hurry up and make it feel less like a cold warehouse and more like a home. Talk about first-world problems, right? Poor me. 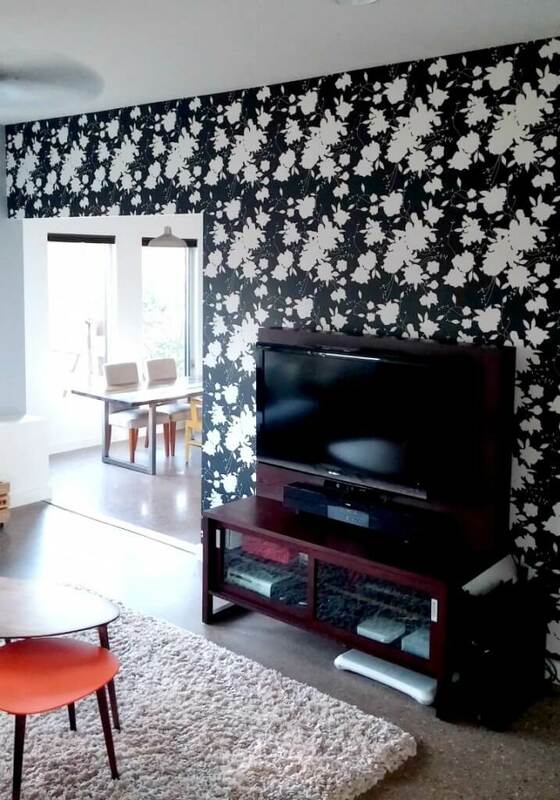 For three years I lived in an apartment that had Ferm Living’s Little Leaves wallpaper in the entry and living room, and I never got sick of it. So the first step to converting my sad, cold warehouse house was clear from day one: I’d hang some wallpaper. I wound up going with Ferm Living’s Silhouette and I couldn’t be happier. The day before it went up, I painted the wall that meets it Gray Plank (Valspar), just so I wouldn’t have to worry about messing up the wallpaper. The next step in de-warehousing? Window treatments!